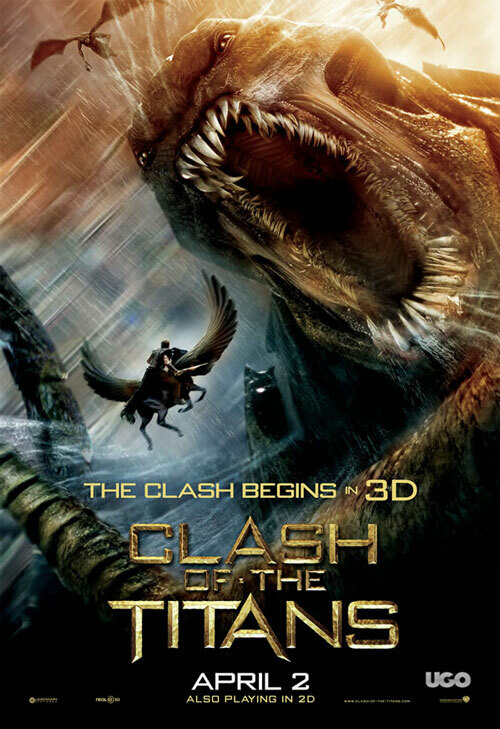 Is it too much to ask that a gaudy blockbuster boasting the earth-rumbling title Clash of the Titans be, you know, fun?! The original film, released unto the masses in 1981, is best remembered - justifiably so – for its goofy-cool stop-motion animation, courtesy of renowned effects master Ray Harryhausen, which provided welcome lightning bolts of gee-whiz spark to the frequently logy and ponderous proceedings. 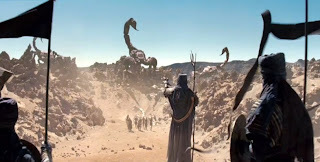 In its best bits, that extremely flawed endeavour managed to stir up a genuine feeling of giant-sized other-worldliness, equal parts vivid Marvel comic-book adventure and brilliantly cheesy Manowar power ballad, which captured the gloriously colourful excess of its iconic source material. Hypothetically, it’s the ideal cinematic property to remake, as it was never really successfully realized in the first place. Too bad, then, that this new 21st Century Clash is even more of a lumbering snore than its ancestor; a slap-dash slice of hack ‘n slash idiocy delivered with the dour dryness of an early morning Aristotelian theory lecture. 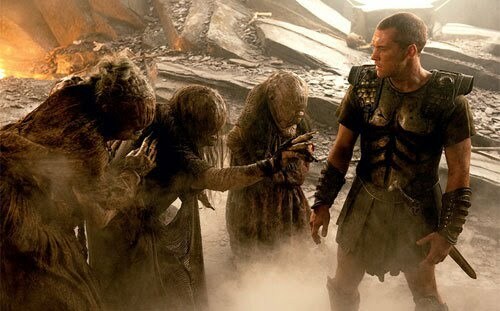 This retrofitted Clash of the Titans again chronicles the trials and tribulations of Perseus (The inexplicably ubiquitous Sam Worthington), mortal half-human son of Zeus (Liam Neeson), and mankind’s only hope when the Gods declare wa r on their ungrateful disciples. 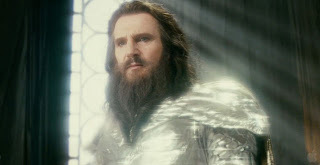 Recognized as being the only soul capable of withstanding the malevolent powers of Hades (Ralph Fiennes), the reluctant demigod embarks on a quest to discover a weapon capable of stopping the fearsome Kraken, a tentacle-waving, Godzilla-sized water-dweller proficient in unmitigated destruction, from laying waste to the city of Argos. 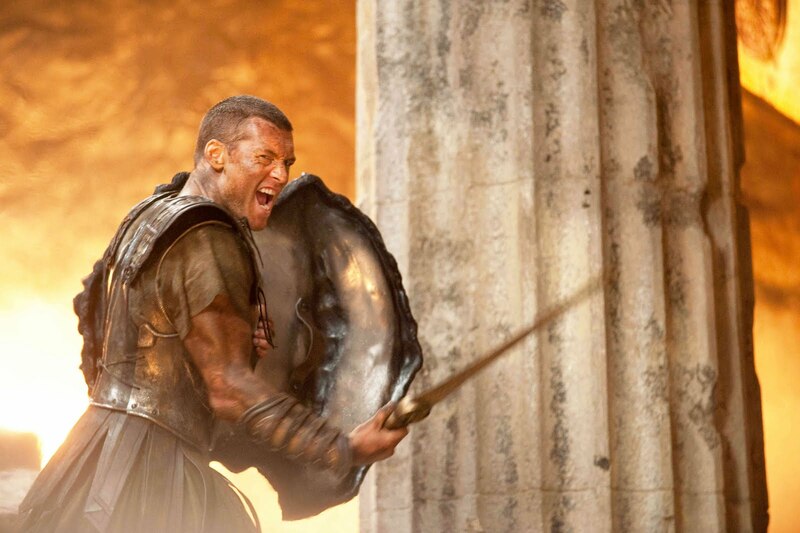 Of course, no journey is without its minor inconveniences, and Perseus’ must endure deadly encounters with monstrous fiends such as the snake-haired Medusa, a trio of blind, man-eating witches and the villainous Calibos (Jason Flemyng), a deformed opponent with a shadowy past. However, like every archetypal hero, Perseus’ greatest conflict ultimately lies within himself, as he struggles to make peace with his divine lineage. As anyone with even a passing familiarity with Greek mythology knows, the entire literary canon hinges on shar ply defined individuals bearing larger-than-life personalities and emotions – two characteristics almost entirely absent from the various human characters populating the film. Worthington may be a step up from Harry Hamlin, but he’s still far too stolid and composed to properly portray Perseus’ inner-turmoil and incorruptible spirit. With his oddly contemporary haircut (Which badly stands out amidst the sea of shaggy-headed supporting players), bemused expression and baby-faced features, he looks about as dynamic as a trainee bank teller. Of course, the filmmakers, perhaps to counter their star’s limitations, have surrounded Worthington with a crew of banal walking clichés to help distract from his flavourless perfor mance. There’s Draco, the “Initially Hostile Ally Who Becomes a Trusted Friend” (imposing Danish actor Mads Mikkelson, valiantly grappling with his turgid dialogue), the “Beautiful, Compassionate Princess” Andromeda (Alexa Davalos, barely registering) and the “Wacky Comic Duo” (Ashraf Barhom and Mouloud Achour), who aren’t particular wacky, nor comedic. 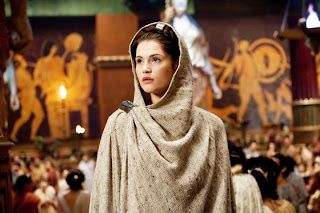 And what to make of Io (Gemma Arterton), the impassive immortal beauty who has made it her business to watch over Perseus from birth and explain everything he needs to know? To call her a good sport would be an understatement. It is curious, though, that, besides Perseus, no one seems to even notice her. There must be a deleted scene somewhere explaining this distracting phenomenon, because you certainly won’t find it on-screen. One of the appeals of the first Clash was how the Gods behaved like a squabbling pack of bitchy high-schoolers. Here, they’ve all been relegated to extra status, minus Neeson’s Zeus and Fiennes’ Hades, who execute their roles exactly as you’d expect them to; the former playing his usual slightly-pompous, stately leader-type and the latter doing a variation on his Voldemort from the Harry Potter pictures. It might’ve been more enjoyable if someone in casting been a little more daring and swapped their parts. I was a big fan of director Louis Leterrier’s work on The Incredible Hulk, in which he made the dust-ups between his warring computer-rendered behemoths feel viscera land electrifying without overwhelming the viewer. Thus, it’s somewhat surprising that all the major set-pieces in Clash look so cluttered and blurry. The Medusa sequence – the suspenseful highlight of the 1981 version – is a chaotic mess of embarrassing CG and agitated editing, while the climactic Kraken battle is frankly too bewildering to be interesting. Only a desert scuffle against a squad of colossal scorpions manages to budge the Wow-meter above zero. Even though it has become common-place to see major studios burn up untold fortunes in the service of unimaginative, middle-of-the-road spectacle,it’s tremendously disheartening to see a project so bursting with obvious potential blundered to the point of complete ruin. This is a premise rife with potential for audience-pleasing displays of unrestrained movie magic, timeless storytelling and unforgettably vibrant champions and hiss-worthy evil-doers. Instead, despite infinite artistic resources and talent, this Clash is trash. *Originally printed in SFU's The Peak: April 12th, 2010.